When you vacation in Hawaii, you’ll want to see and do as much as possible. The islands are rich with culture, history and fun. In this article, we will provide an outline of experiences that will help you have the most well-rounded and enjoyable Hawaiian Island travel experience. Read on to learn more. Start in Honolulu. It is the largest island city, and it is the site of the Pearl Harbor Naval Base. Here you can see the site of the historic attack on the USS Arizona at Pearl Harbor. This was the incident that drew the US into WWII. Then president, Franklin Delano Roosevelt called it “a day that will live in infamy”. Be sure to plan your visit in advance. You can only visit during certain hours. Admission is free, but tickets are limited. Your next adventure should take place on the garden island of Kauai. If you are brave, you can take a zip-line tour and soar through the treetops 85 feet above-ground. Get a bird’s-eye-view of bamboo, eucalyptus and mango trees and birds! The views of mountains and forest are spectacular. Another fine adventure on Kauai involves rafting through hidden tunnels. Over a century ago, Hawaiian laborers dug an intricate system of tunnels and canals to bring water from the mountains to the sugar-cane plantations. These canals remain today, and you can have the time of your life zipping through them in a rubber raft. If you think these activities sound rather dangerous, they are. Fear not, though! You will receive complete safety instructions before you embark. Maui offers a marvelous scenic drive that ends with some fabulous hiking. Drive along the coastline on the Hana Highway all the way to the entrance of the fabulous Haleakala National Park. Here you can hike the Pipiwai Trail. This is a clear and well-marked trail that leads you through the dark and fascinating Bamboo Forest. At the end of the trail, you will find the Waimoku Falls cascading from 400 feet above you. All of these experiences are of the “once-in-a-lifetime” variety. The Big Island of Hawaii offers many fine resort experiences, but it also offers grand adventure for aficionados of the road less traveled. If you love the wild, natural world, you can explore barren, volcanic landscapes, black-sand deserts, astounding waterfalls, lush rain-forests and snow-capped mountains that provide a view unlike any you have ever seen before or will see again. Volcanoes National Park is a must-see destination. Here you must beware of the Goddess, Pele! 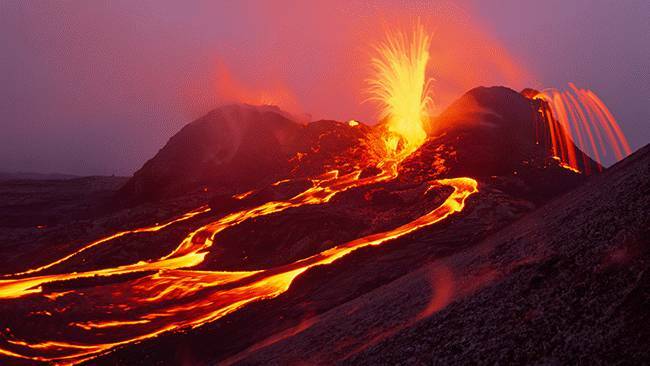 She is the angry Goddess of Fire, and the islanders say that her spirit lives in the Kilauea Volcano. Legend has it that she was banished from her home island after fighting with her sister. According to Legend, Pele is know for many wicked acts, and you must especially beware of rock collecting around the volcanoes because this is particularly annoying to Pele. If you take a rock away, she will haunt you until you return it. While this may sound like an old wives’ tale, you may be surprised to know that island hotels receive packages of stolen rocks from former guests on a fairly regular basis. These packages are inevitably accompanied by a note explaining that they wish to return the rocks to end their bad luck!